How did it go in 2015? Can you summarize it? For me, 2015 was too short. It finished so fast. I wish I could have done more. It was a year changing homes. I moved four times. But it was also a year of meeting making new friends and strengthening other ones. Here is my year overview under specific areas (not in a particular order). 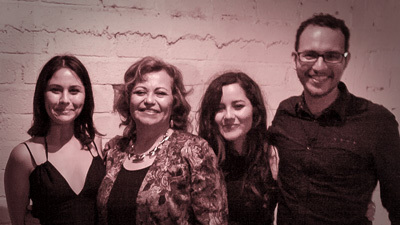 This year I had the blessing of being near my mom and two of my sisters (my dad passed away in 2013; if you read Spanish, you can read his obituary in the Obituario a Jesús Rosas Núñez (papá) link). Spending time with family is something I’m grateful for because it hasn’t been like that in many occasions because of living abroad. I spent most Sundays in 2015 at my mom’s home. We also had the opportunity to go out to the movies and several restaurants in some special occasions such as someone’s birthday. Besides that, my sisters and I, with the help of many special people, made a surprise party for my mom. We had a big dinner and showed two videos. One of the videos showed birthday wishes from family, relatives, and friends from different stages of her life. The other video was a summary of her life in pictures with a song in the background she had previously recorded for something else. Despite the hard work and many hours of effort coordinating people, editing videos, and keeping the secret for a few weeks, it was all worth it and it was so rewarding seeing my mom so happy that day. For Christmas Eve, two of my sisters and I got together. We missed the complete family. Despite the small group, we had a big and delicious dinner that ended with some games. The next day, on Christmas, we opened gifts and we also had joke gifts. This year I met a lot of new people, but I didn’t stay in touch with many. Despite that I was able to strengthen the friendship I have with others. I met people from other countries and some from other parts of Mexico. I also went out on dates, but nothing beyond. I’m still single and without commitments. 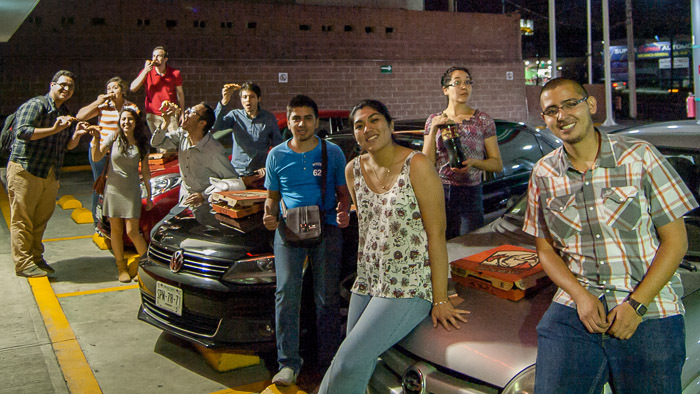 Eating pizza at a parking lot, it was an spontaneous dinner. Talking about junk food… here we are eating hotdogs. About work in 2015, I had some up and downs. There were good days with lots of work and other ones not so much. But it was enough to buy instant noodles 🙂 During this year I worked as an interpreter (English-Spanish). I also wrote some articles, made some logos, and a couple of projects that required researching and entering info in some databases. 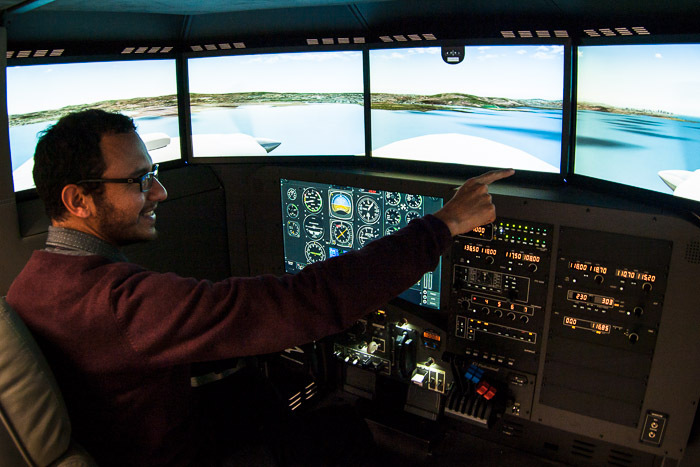 Flying an airplane in a flight simulator. Something I enjoy constantly is learning. This year I kept learning about marketing, blogging, social media, and others. 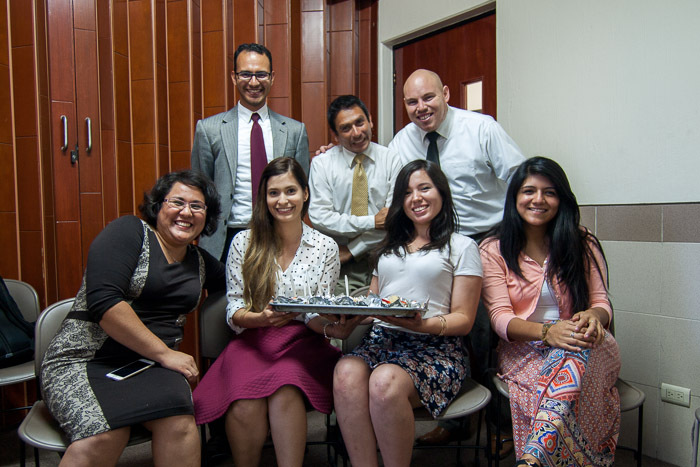 I also taught a course on blogging in the Institute of Religion of The Church of Jesus Christ of Latter-day Saints in Guadalajara. Besides that, I started a meetup for bloggers where we meet each two to three weeks. 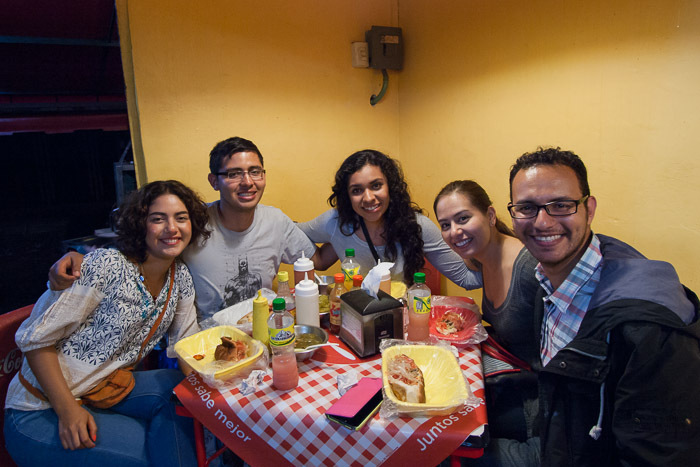 You can see more about this group and join (if you are in Guadalajara). 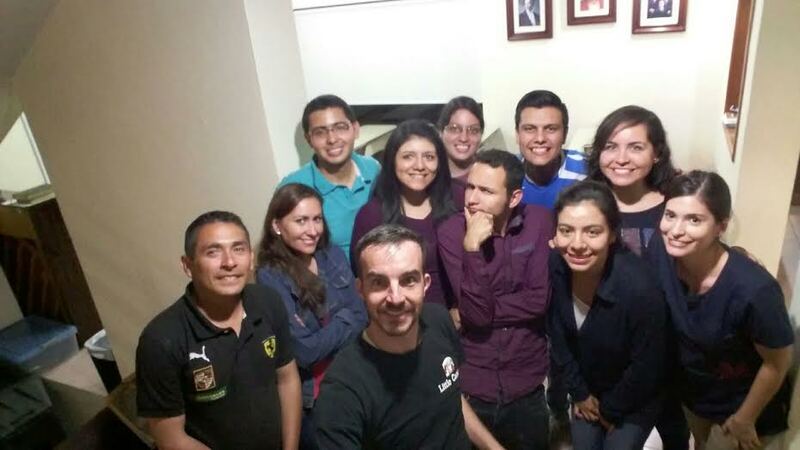 The group is part of meetup.com and it is called Autores de Blogs en Guadalajara. You can also check www.ProBlogTutorial.com where I will be adding a free course and content on blogging for beginners. This year I also went to a few conversation clubs to meet new people and practice some English and French. It has been very good being able to meet people who have similar interests. Some members of the course I taught about blogging. Here we are celebrating with pizza on the last day. 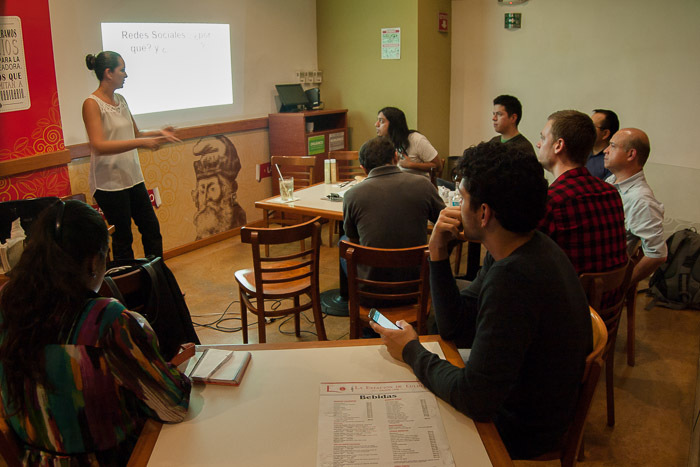 One of our meetings for bloggers in Guadalajara. Ale Arreola is presenting this time. Besides this, I contributed with an article to the Wikipedia. The article is in Spanish about an Italian sculptor who made a name in Mexico. The article is about Adolfo Octavio Ponzanelli. Hopefully they won’t delete it. Some time ago, I wrote an article about my old LDS high school, but it was deleted without much opportunity to talk about it. Someone had added content that for some may have seemed as promotional content. But even if true, they could have erased that part, not the entire article. In 2015 I didn’t make as many trips as in other years. The couple of trips I did were within Mexico. I just went to Veracruz and Mexico City. And not sure if you also want to count Arandas, Chapala, and Cajititlán, which are very close to Guadalajara, Jalisco. 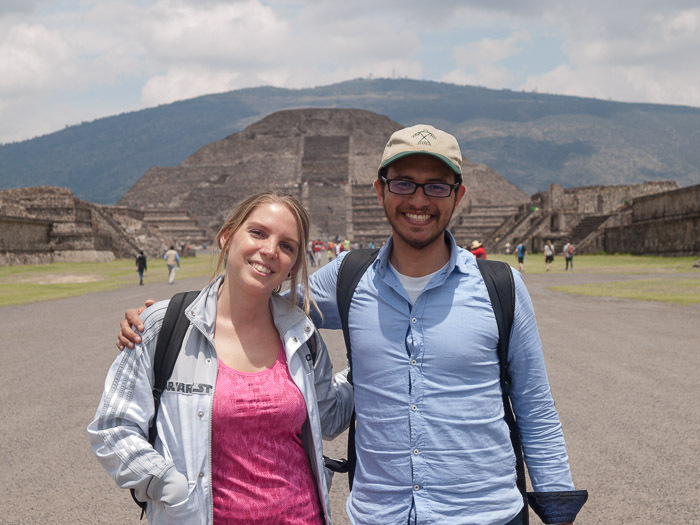 Visiting Teotihuacan again. Next to me Monse from Argentina. And here is a video I made about a one day trip with friends to Chapala. The title and credits are in Spanish. But it’s mainly footage and music. This year I got the flu twice, but the most concerning part was when after not eating well for a few days, I got low pressure and felt I was near fainting. It was brief but I had to do some medical tests just to make sure everything was ok. This year I didn’t eat anything as exotic as the previous year, which you can agree after reading How was 2014 / New Foods, but I did try some dishes that were prepared in ways I hadn’t eaten them before. The highlights of these new dishes in my life were shrimp stuffed ravioli on top of mandarin sauce; pizza with onion sauce (instead of tomato) topped with caramelized apples and pecans, and mozzarella, provolone, and Parmesan cheese; Fusión salmon, which was salmon covered in roasted almonds and pistachios on top of mango chutney and some white rice. If you want to know more about these dishes and see delicious pictures read my post My Favorite (and Not So Favorite) Restaurants in Veracruz. Besides these dishes, I also tried German style leg of pork (the calf) and haute cuisine duck. 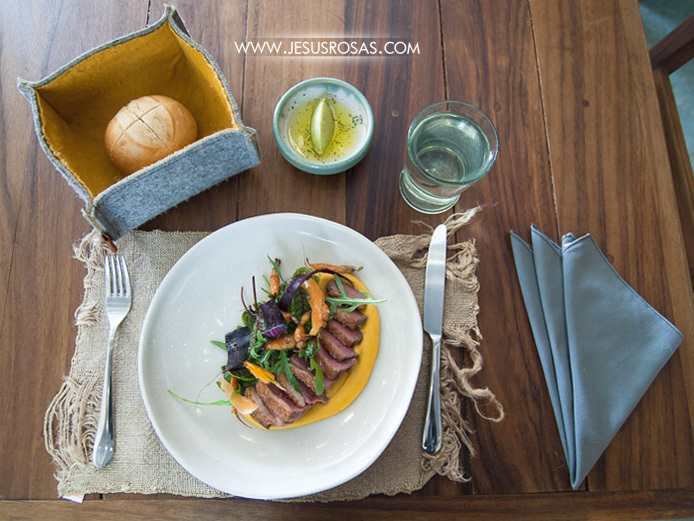 “Petit ferme” duck breast with smoked sweet potato, grilled carrots, cardamom vinaigrette, and ajijic leaves. Truly delicious. 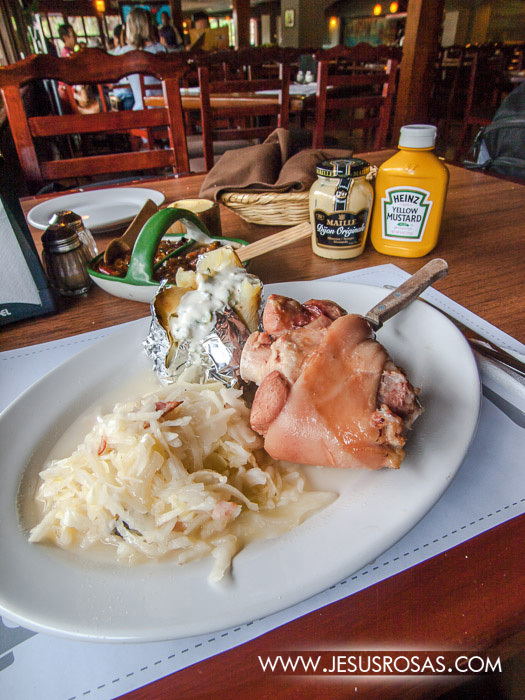 German style leg of pork (calf) with sauerkraut and a baked potato. In 2015 I took almost 12,000 pictures (without counting the ones from my smartphone), they aren’t as many compared to other years (double or triple that number). Why so many? Because of those many, only a few turn out great and they are the ones I try to share here in my blog. This year I took a lot of pictures of food. 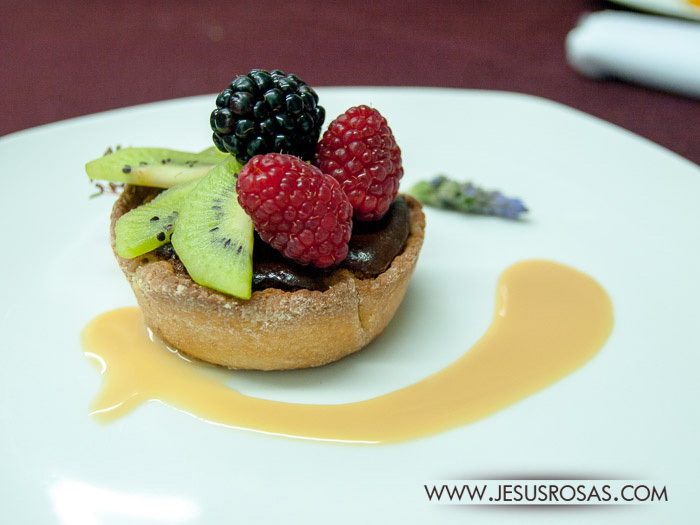 A dessert made by students of the Universidad Metropolitana de Guadalajara. 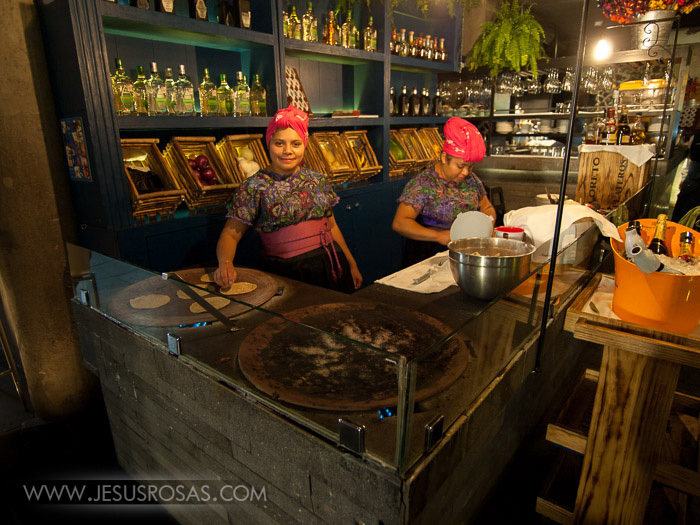 People cooking in a restaurant in Mexico City. 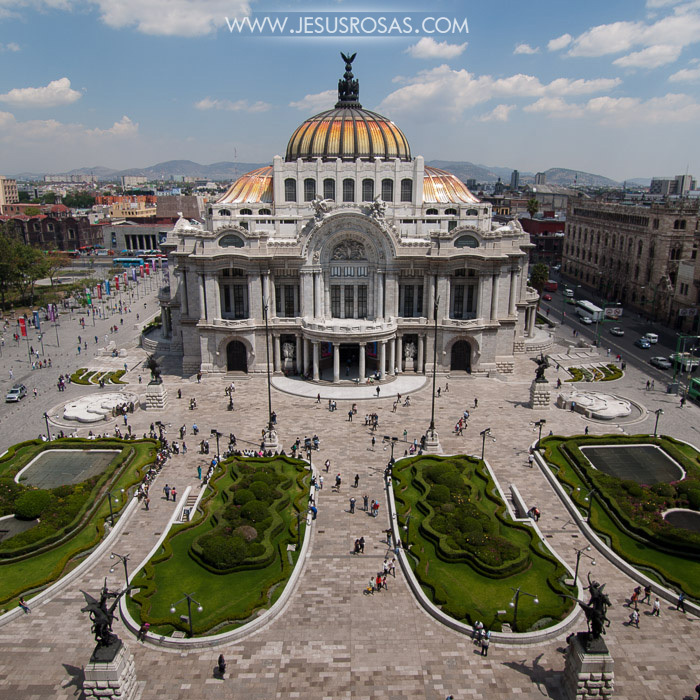 El Palacio de Bellas Artes (Palace of Fine Arts) in Mexico City. Talking about entertainment, nothing out of this world. I just went out with friends. We went to restaurants and movie theaters. We played some games, went dancing, went to Chapala to walk around and eat, and I also attended the Expo FIL 2015 (International Book Fair in Guadalajara), things like that. I also went to a convention for young single adults in which we had dances, food, games, and even a color race. 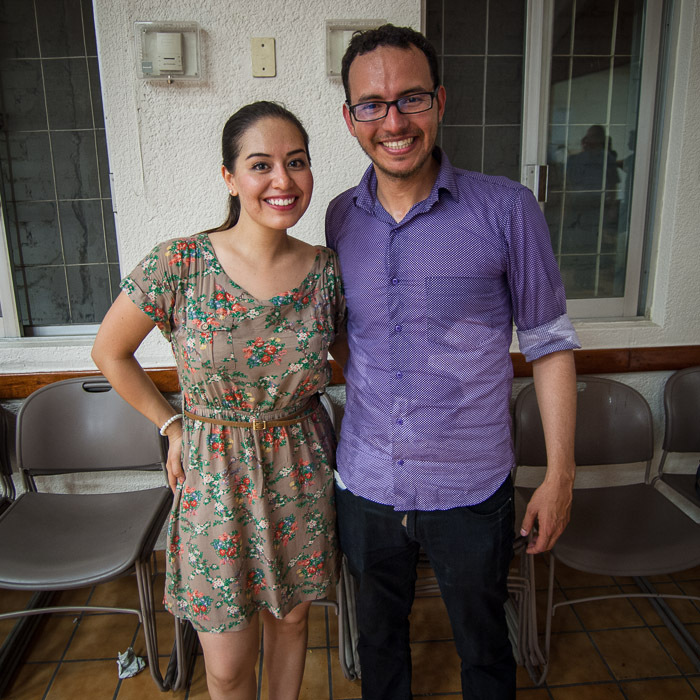 You can see pictures and read more about it in My Experience at the Guadalajara YSA Convention 2015 – Special Guest: David Archuleta. 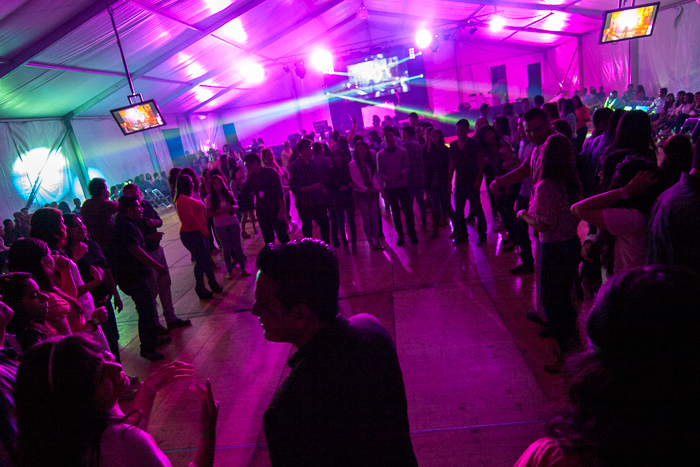 A convention for Young Single Adults in Guadalajara. This was the best dance I attended in the year. Picture after another dance. Look how wet I am. I know, gross. Poor Saraí who had to be next to me. 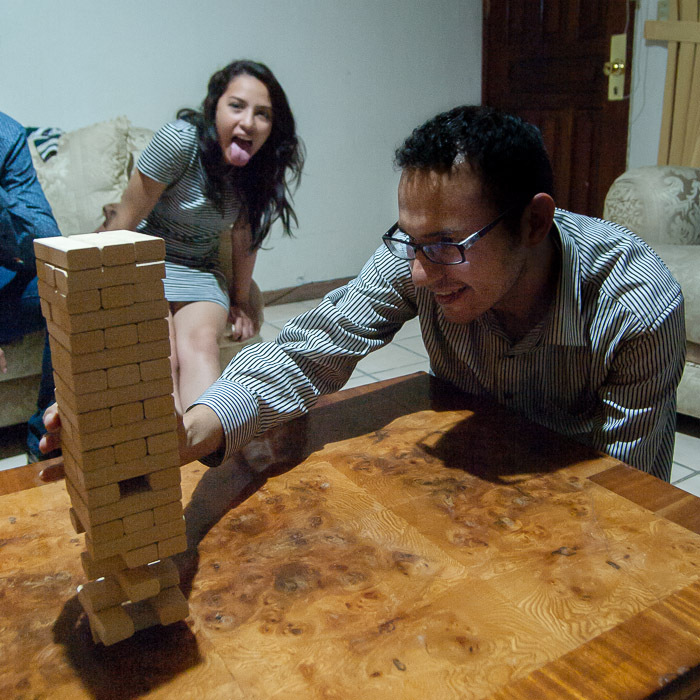 Playing Jenga. I knew this game for so long, but I hadn’t played before. Besides attending regular Sunday meetings, this year I also went to Insitute and took an Old Testament course. 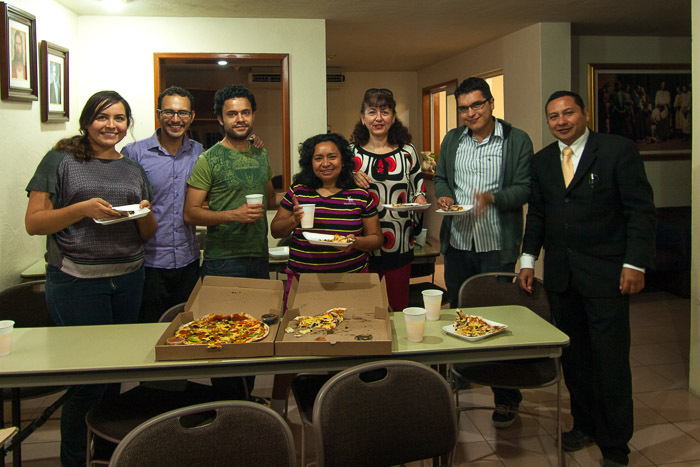 I saw the rededication of the Mexico City Temple, I sang in a choir for some Church meetings and I had family home evenings with young single adults [Family home evenings are uplifting meetings in which we have messages, games, and/or refreshments]. This year I went to a convention for young single adults. Besides the social and entertaining part, there was also a lot in the spiritual part. Again, you can see more details and pictures by checking out My Experience at the Guadalajara YSA Convention 2015 – Special Guest: David Archuleta. Also in December I decided to start an autobiography of my spiritual life. Something similar to a summary of my life from the religious point of view. I will share part of this with you later. If you are interested you can subscribe to be notified when I publish it. Family home evening with some young single adults at Church. Another family home evening at the Institute building. Picture by Joe Merino with his phone. And what did you do the first day of 2015? No, not 2016, but last year’s first day. Can you remember? In my case, I was at a party at some friends house. My mom and sister were also there. Right at midnight we greeted each other lit some sparklers. We continued talking then we played games and ended up singing karaoke until three in the morning. My family and I went back to mom’s home and slept. A few hours later in the morning we had a late breakfast. I had an uncle and aunt visiting so we spent time with them. We even went to the historic downtown to walk around and eat. And what about the last day of 2015? I was also in Guadalajara. I did some work on the computer, wrote this post and some other personal notes. That evening I went to the supermarket to buy some ingredients to prepare some spaghetti bolognesse for dinner with some friends. Later on we realized that nobody had brought grapes. We went out to look for some with no luck. Most places were closed. We didn’t think of asking other friends if they had some. We had a simple dinner, I made the spaghetti, others brought pizza, french fries, some chips, and soda. We ate and talk. Right at midnight we got up and wished a happy New Year to everyone. Some of us started sending New Year wishes to others through WhatsApp and then played some games. We had to guess real and fictional characters in three rounds. The first round was through descriptions, the second one with one word, and the third one with gestures only. At the end, we said goodbye to each other and we planned to see each other again that same day. And that’s it. That was my year 2015. I recommend you do something similar. Whether you share it publicly or not. When you do it, you will realize how is it going in your life with the passing of the years. You can evaluate, remember, and share more about your life. So how was 2015 for you? Don’t hesitate to share in the comments below how did it go and what did you do in the first and last day of 2015. Or you can also leave a link to your blog or place where you have published those things. Happy 2016! If you liked this post, please help me spread the word by clicking on the Facebook and Twitter buttons below. See you next time!